Jerry Fisk MS, Master Smith Knife maker, member of the Knife Makers Guild and honored as a National Living Treasure. 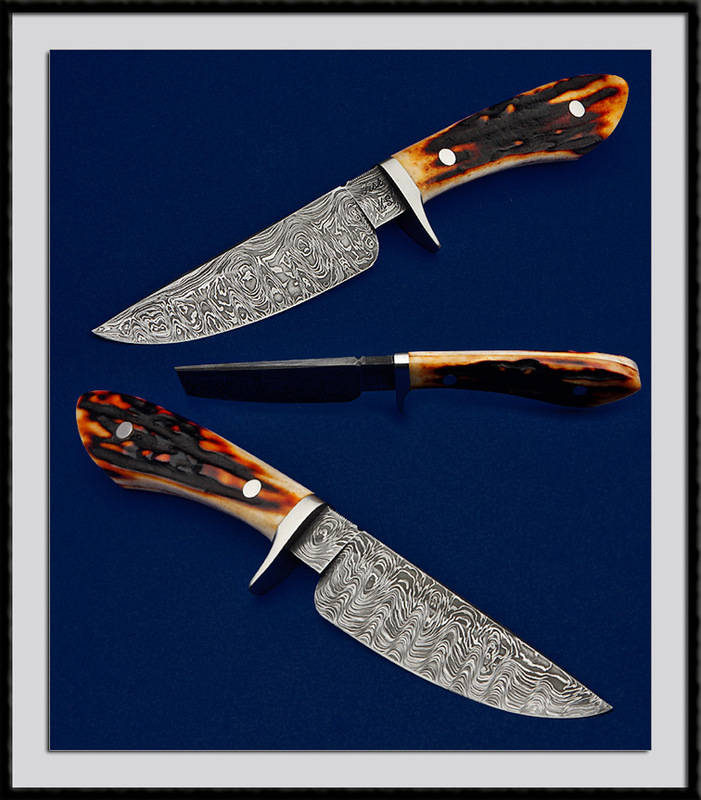 Jerry Fisk has achieved many awards among the finest are: The "William F. Moran" Knife of the Year in 1990 & 1995, Beretta Award for Outstanding Achievement in Handcrafted Cutlery 1988, Best Damascus Knife 1990, Best Handmade Art Knife 1992, Governor's "Folk Life and Traditional Arts Award" 1997. Superior Fit and Finish is not only a trade mark but a given. 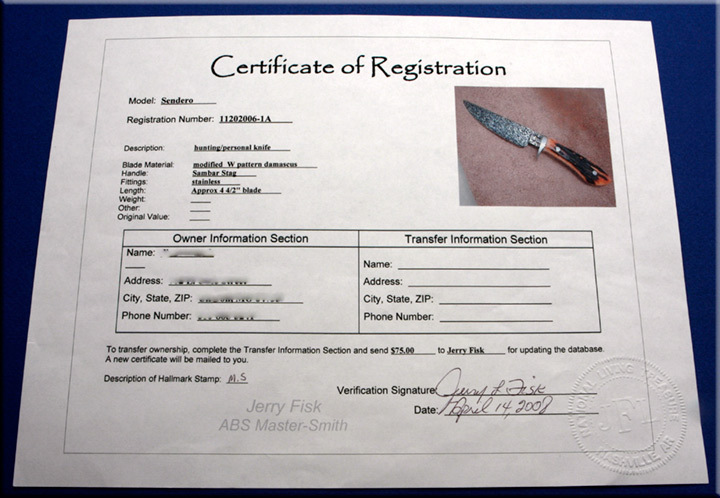 Jerry says, "Each knife can be a utilitarian or an art piece, it depends on the degree". This is a Sendero Hunter, modified W pattern Damascus blade steel, BL = 4 1/2 ", OAL = 9 1/8", Stainless fittings, Mortised Stag handle accented with 2x SS bolts. Impeccable Fit and Finish. Condition is Mint.